The Life's Way: DISNEY ON ICE PRESENTS LET’S CELEBRATE! Showtime Management and Feld Entertainment invite families to turn the chilly 2015 winter school holidays into an extraordinary outing at its new ice extravaganza, Disney On Ice presents Let’s Celebrate! featuring more than 50 classic and contemporary Disney characters in a captivating compilation of favourite holidays and celebrations from around the globe. 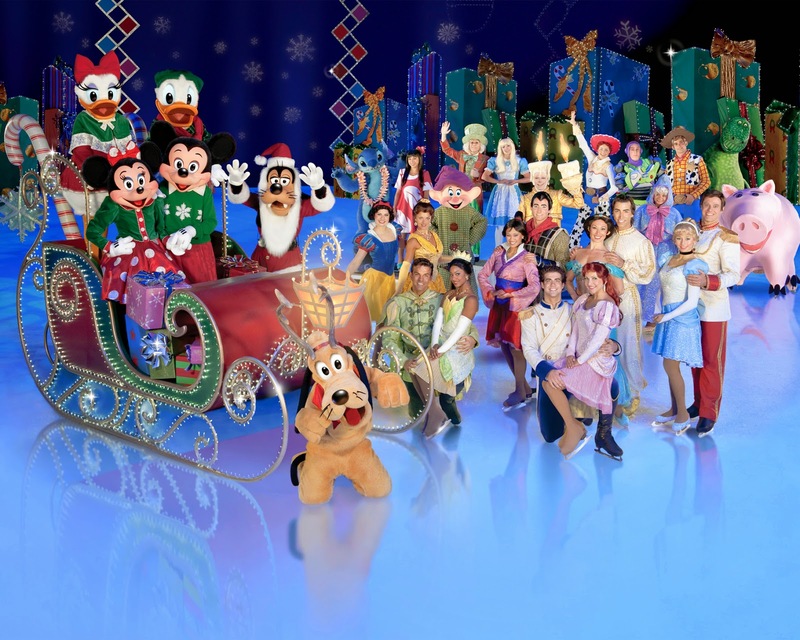 Audiences will experience the ultimate celebration of celebrations as they join Mickey Mouse and friends on a delightful tour of festivities jam-packed with fun surprises, spectacular skating and vibrant costumes. The production’s original storyline transports audiences to exciting events with their favourite Disney characters, including a Valentine’s Day Royal Ball with Disney Princesses, including Tiana, Cinderella and Ariel; a Very Merry UnBirthday Party with Alice and the Mad Hatter; Jack Skellington’s frightfully festive Halloween party with the Disney Villains; and a Hawaiian luau with Lilo and Stitch. 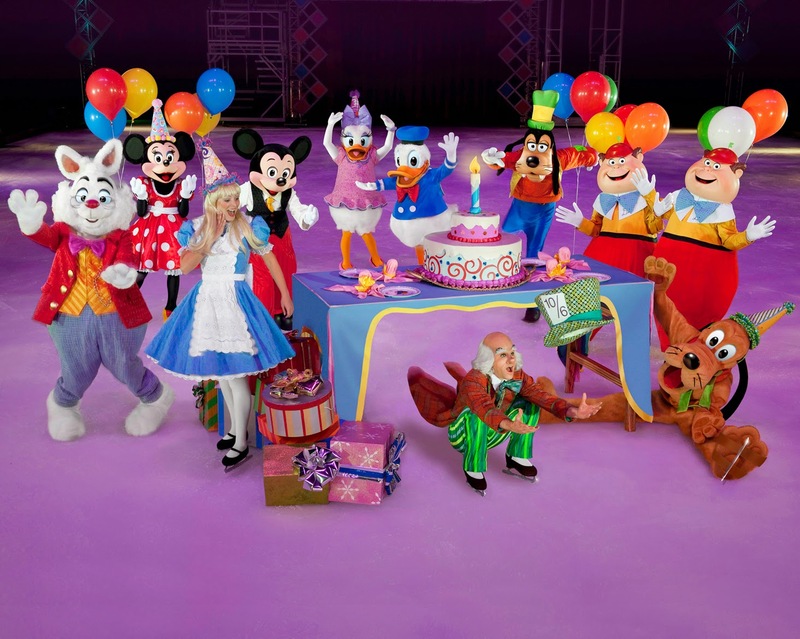 Disney on Ice presents Let’s Celebrate opens on Friday, 26 June 2015 at the Dome, Johannesburg and runs until Sunday, 05 July 2015. “New seating at this venue, especially installed for Let’s Celebrate ensures that Disney on Ice fans of all ages have a clear view of the ice and the wonderful characters,” says Tony Feldman of Showtime Management. Floor seats have been removed and the new configuration is made up of raked seating only to make Let’s Celebrate a wonderful experience for the whole family. The production moves to the GrandWest Arena, Cape Town for 10 shows only from Wednesday, 8 July 2015 to Sunday, 12 July 2015. Tickets are on sale now at Computicket. Patrons are asked to please note that owing to safety regulations each person, irrespective of age must have a purchased ticket. “Come join your favourite Disney characters at the biggest fun filled party on ice – this winter it’s time for kids and families to celebrate the enchanting world of Disney.” says Feldman.